Robert Jones has been a reporter and producer with CBC New Brunswick for 24 years. His investigative reports on petroleum pricing in New Brunswick won several regional and national awards and led to the adoption of price regulation in 2006. A Progressive Conservative election pledge to deliver property tax relief to more than 60,000 New Brunswick seniors has instead helped only 60, a CBC News investigation shows. The original election promise — to exempt homes owned by those older than 65 from property tax assessment increases for the life of the owner — was abandoned by the Alward government shortly after its election victory andreplaced with a cheaper scheme. Provincial government records, obtained by CBC News, show the cheaper alternative has been unpopular with seniors, attracting few takers among the vast majority of homeowners originally promised relief. And with a promised review of the “effectiveness” of the unpopular program still two years away the provincial government won’t say if its willing to make any changes sooner. Meanwhile, most seniors continue to cope with property tax increases entirely on their own. A wave of assessment hikes this spring hit almost every home owned by a senior in the village of Welsford. 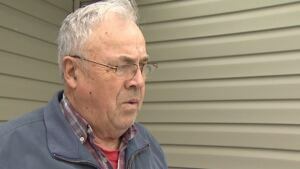 Jim Hector, 73, said he still can’t figure what he did to deserve his assessment increase. “People whose taxes have gone up and who haven’t improved their homes, why do the taxes go up?” asked Hector. His assessment also increased last year and the year before. Around the corner from Hector on Welsford Station Road, Maxine Cooper, 84-year-old widow, had the same experience. A bride of 26 when she moved into her house 58 years ago, Cooper has seen both churches in her community close in recent years and a new highway bypass threaten local businesses. Still her assessment jumped $3,300 this year on top of $5,700 last year and $4,000 the year before that. Terry Bond, Cooper’s 68-year-old neighbour, is equally mystified. “I don’t think it’s because I put a few bucks into my house,” said Bond, who added the yearly increases have been adding up. All three Welsford seniors had been assured during the last provincial election that assessment increases would be ending for them. The centrepiece of that event and the key pitch to seniors was a proposal to provide universal property tax relief to every resident of a certain age. “A new Progressive Conservative government will permanently freeze property tax assessments for all homeowners over 65 years of age,” said Alward as local candidates behind him cheered and clapped, including future cabinet ministers Sue Stultz and Marie-Claude Blais. It was a big promise. According to the 2011 National Household Survey, New Brunswick has one of the highest home ownership rates among seniors in Canada with 60,130 dwellings belonging to people over the age of 65. But it was a popular idea and elevated to what the Progressive Conservatives called a “10 by 10” commitment — 10 promises they promised to implement within 10 weeks of being sworn in. However, after the election, Finance Minister Blaine Higgs was alarmed at departmental estimates showing the plan could cost $173 million over the first 10 years. He quickly killed it and offered seniors property assessment deferrals instead. The deferrals let taxes caused by assessment increases on seniors’ homes go unpaid indefinitely with the provincial government taking a lien on the property to collect the debt later, plus interest, when the senior dies or otherwise moves out. Unpaid taxes are not allowed grow to more than 75 per cent of the value of the home. The interest rate on the debt, originally set at 3.25 per cent has since been raised to 3.76 per cent. Despite obvious differences, Alward told CBC News shortly after its introduction, the assessment deferral fulfilled his campaign promise to seniors word for word. But seniors have not been as enthusiastic about the program. According to finance department records, obtained by CBC News under the province’s right to information legislation, the program has attracted few subscribers. Higgs originally said he understood that property tax increases for seniors was a serious problem for many. He promised to evaluate the deferral program in 2016 to determine its “effectiveness” and promised to make “adjustments as necessary” to ensure it was providing help. “It was clear that we needed property tax relief for those seniors who required it,” Higgs said at the time. However, he declined an interview request with CBC News about whether 60 subscribers in three years meant the program was not reaching those who he believed required it. Meanwhile, most seniors, such as Jim Hector, continue to deal with assessment increases on their own, just as they did before the election. “I didn’t believe it then,” he says of the campaign promise to permanently freeze his assessment.